We know for a fact that you cannot achieve anything if you do not have an action plan. At the end of the day, a comprehensive plan is exactly what you need to get a task done. People who don’t have action plans don’t often do much. In fact, they rarely accomplish what they wish to do. That is not a good thing, is it? If you seriously want to see results, then you need to be ready to create an organized course of Action Forms and implement the strategies. So, what happens when an incident occurs? You can’t really run away from it, can you? Instead, what you do is you create an action plan that will enable you to handle the situation. 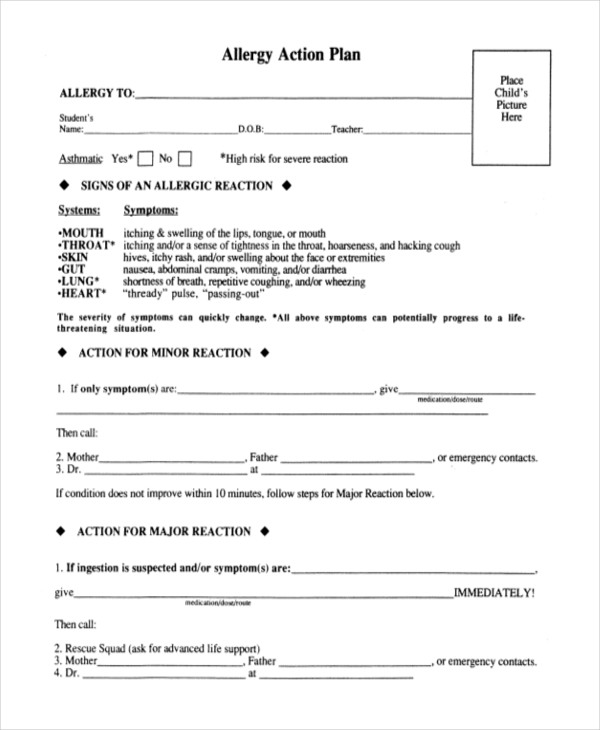 you may also see Sample Employee Action Forms. Those who are suffering from the disease can use this sample file to create the best remedial plan. The sample file is easy to use and you don’t have to edit the design at all. If you are allergic to something, let’s say a vegetable, you know for sure that it is necessary to take the best measures possible. 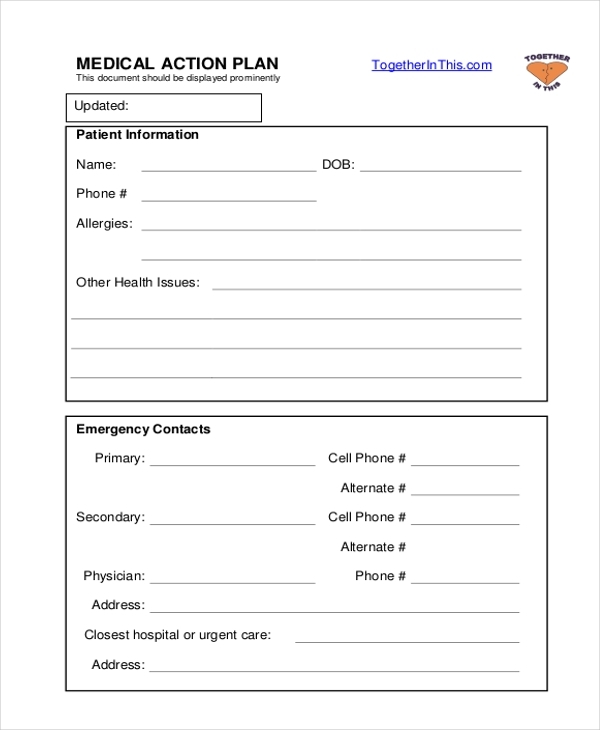 Here is a sample template that’s best for creating the best allergy action plan. You can also see Sample Affirmative Action Forms. A corrective action plan for auditing can help you make the necessary changes to the auditing mistakes identified in your organization. 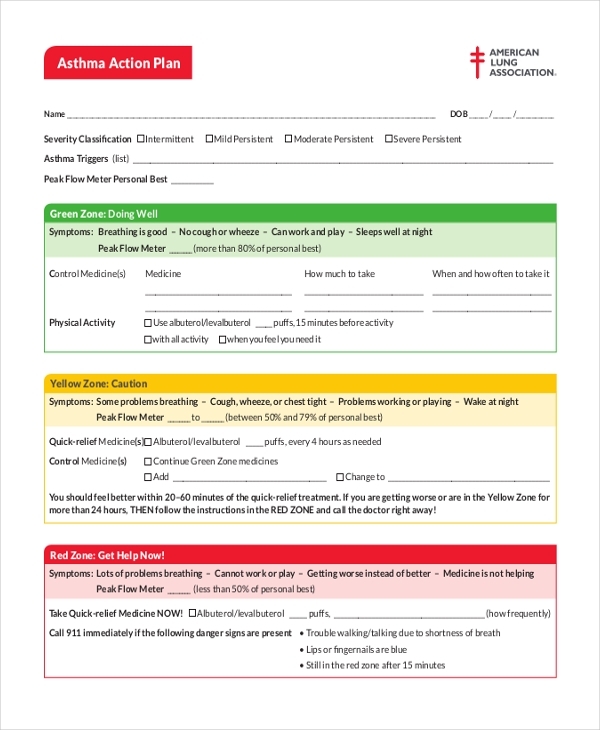 This form is suitable for creating an effective action plan for the process. 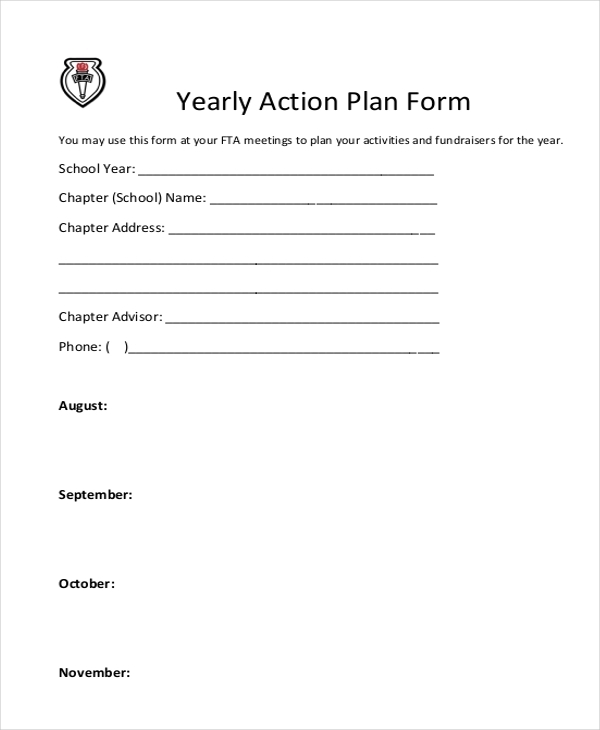 If you want to create just about any kind of plan, a blank action plan can help you do that. Because the file has already been created for you, all you have to do is to download it. Then, use it to create an action plan. If you are working in a healthcare organization, you should have an action plan to work better. If you do not have enough time to create one now, you can use the template below to make your work a lot simpler. 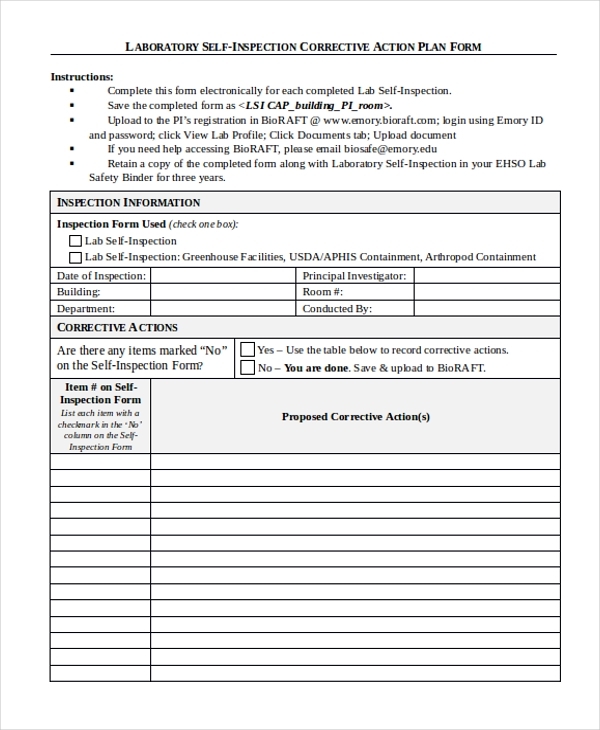 You may also see Sample Corrective Action Forms. What are your annual goals? And, what measures are you going to take to make sure those dreams come true? The best thing to do is to have an action plan. And, you can use the form below to create one. If you notice that something is amiss in the laboratory, you should create a corrective action plan as fast as you can. The action will help you to prevent something bad from happening. Use the form below. Risks are unknown. And, they are unseen too. It means you must have an action plan to handle when they occur. 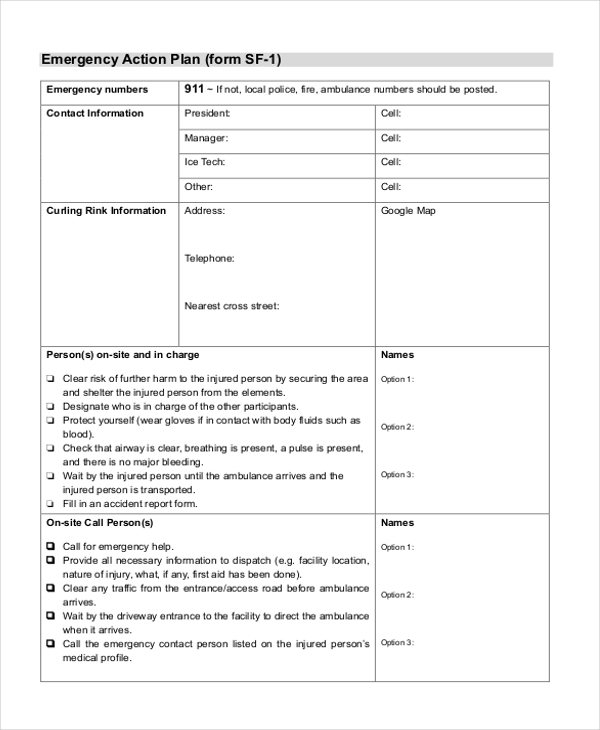 As such, you can use this sample form to create a useful plan that you can use to handle emergencies. How are you going to work as an administrator? Do you have a daily plan? If you don’t, you should get started with this sample template. It will enable you to create the best action plan for the week. 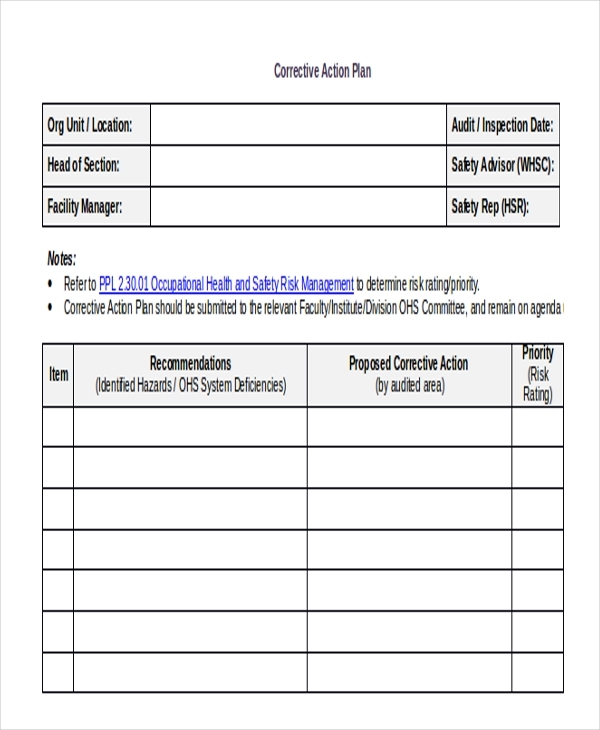 What are The Uses of Action Plan Forms? 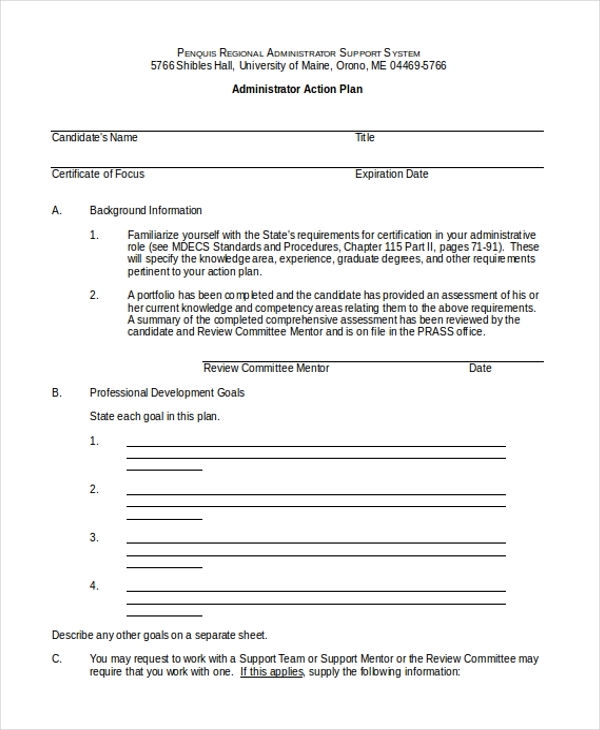 Use the forms to determine the series of steps that you will use to start and complete an action. The steps should be comprehensive and easy to follow. Use the sample form to outline the time it will take for an action to start and complete. You aren’t going to spend the whole day on the task. So, it is important to determine just how long it is going to take you to plan and execute an action. Use may also use the file to determine who will be responsible for an action at any particular point in time. This is a good way to share responsibilities. 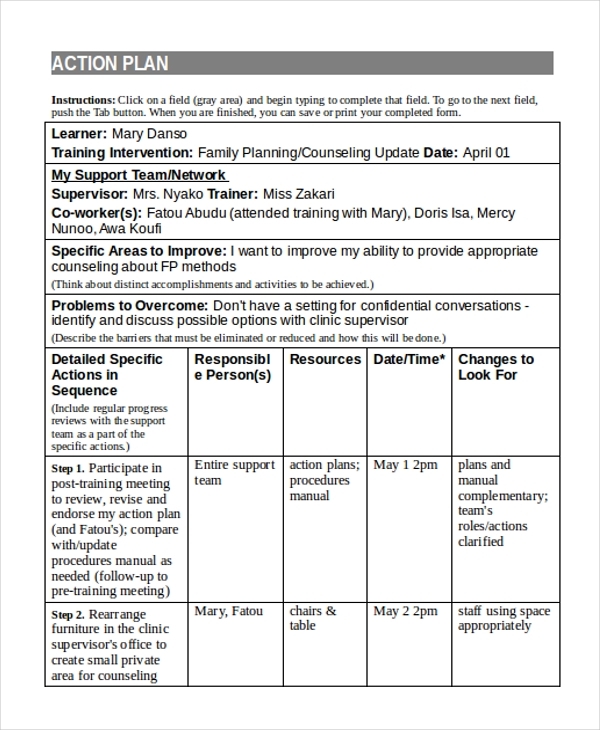 What are The Benefits of Action Plan Forms? 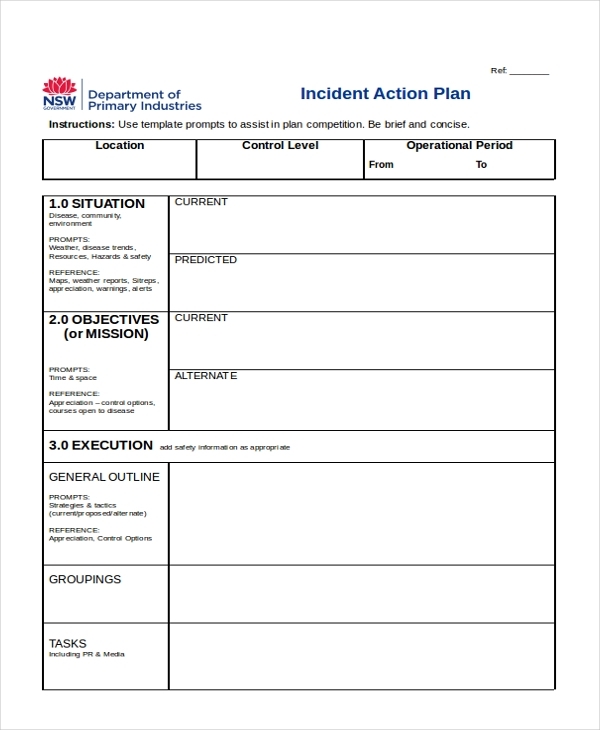 An action plan form enables you to create a comprehensive strategy for your work. Now, the strategy becomes your reference blueprint, so that when you want to implement your plans or complete activities, it will be the first thing to turn to. An action plan allows you to predetermine your actions. It lets you assess your methods before implementation. When using the document, you can measure the effectiveness of the actions and then pick the best method you are sure can work for you. At the end of the day, the goal is simple: enabling you to take the right action at the right time, so that whatever you are working on can succeed. You can also see Disciplinary Action Forms. The most important thing to remember is that an action plan is a mandatory tool to use if you want your projects to suffice and succeed. It doesn’t matter whether you are handling a smaller project or a bigger task. An action plan can help you start the task on the right note and finish it well altogether.